Who Needs Umbrella Coverage? EVERYONE according to an article written by Brooke McGuire a Startey Lead for Speacialty Products at Safeco Insurance. As stated by Ms. McGuire, it is no secret that distracted driving accidents, fatalities, and the resulting medical care costs are on the rise, making higher limits more important than ever. Even relatively minor accidents can incur substantial medical bills. If an accident involves disability or death, the costs can be hundreds of thousands, or even millions, of dollars. Those with teenage drivers incur further risk as teens are more likely to have a serious crash. If you have children or have children over to your home, an umbrella policy is a must, according to Insurance Journal Vol.96, No. 16. You could be liable for injuries to other's children during carpooling, a playdate, or babysitting. Even if your child(ren) attends a party where there is an injury or death, you can be sued, even if your child did nothing wrong. Do you entertain in your home? If so, you could be liable for everything from trip/fall hazards to food poisoning to someone drinking alcohol at your home and getting into a car accident on the way home. What about pets? While dog bites comprise one third of all homeowner’s liability, according to the Insurance Information Institute. friendly dogs can frighten or knock down elderly or youthful guests and cause injury. While financial responsibility rules vary state to state, not having umbrella insurance can expose you to a lot of risk. McGuire, Brook. 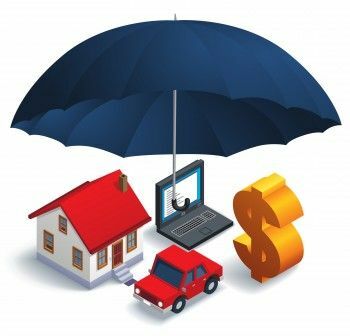 "5 insider tips for increasing umbrella insurance policy sales" Insurance Journal, vol. 96, No. 16, page 25. Speake Insurance can help you find the right coverage for you.